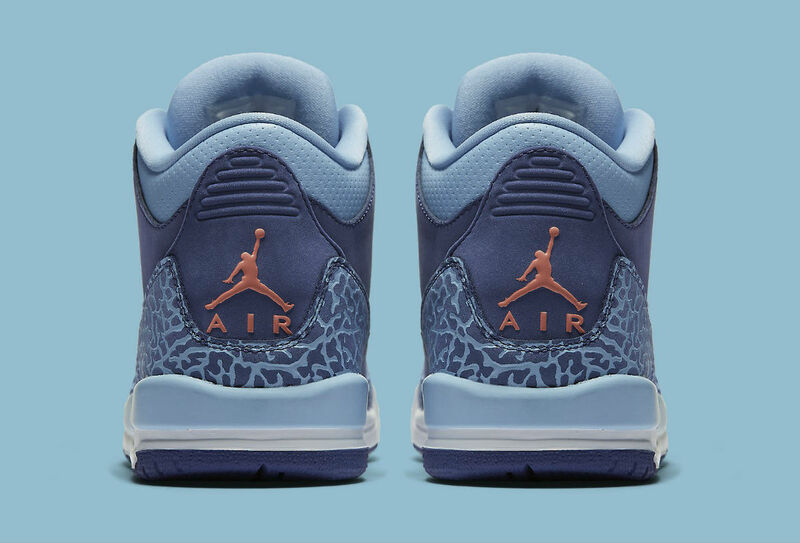 Out of the vault in a brand new colorway. 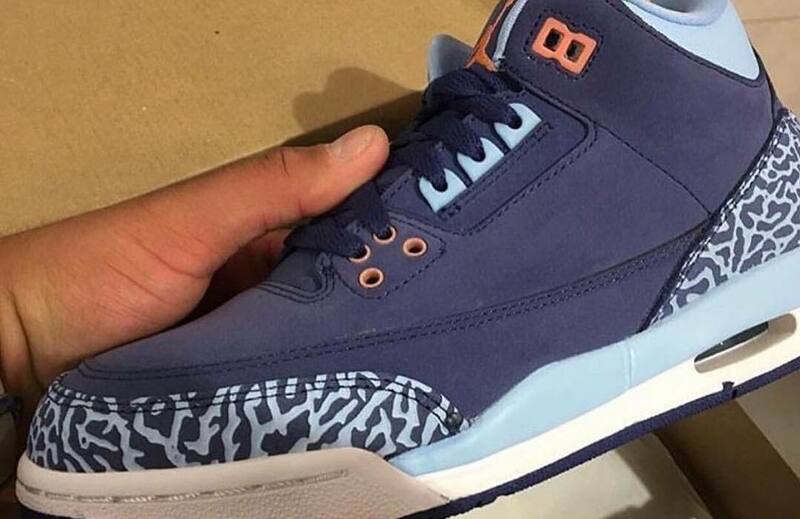 The return of the Air Jordan 3 will include an all-new colorway for the younger crowd. 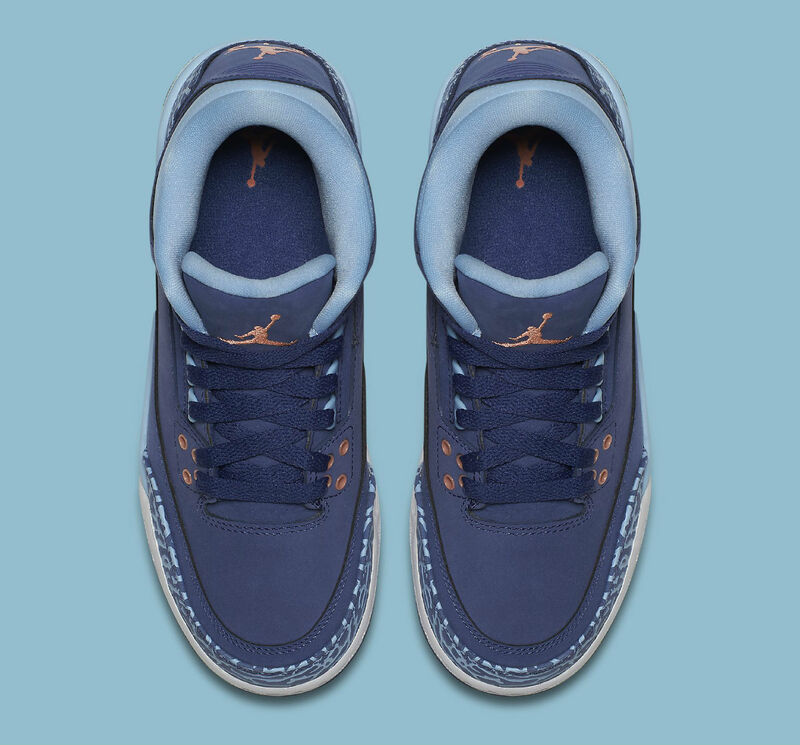 Clearly not a style aimed at adult sneakerheads, this pair sports an unusual mix of dark purple and light blue, with pink accent hits on the Jumpman logos and eyelets. 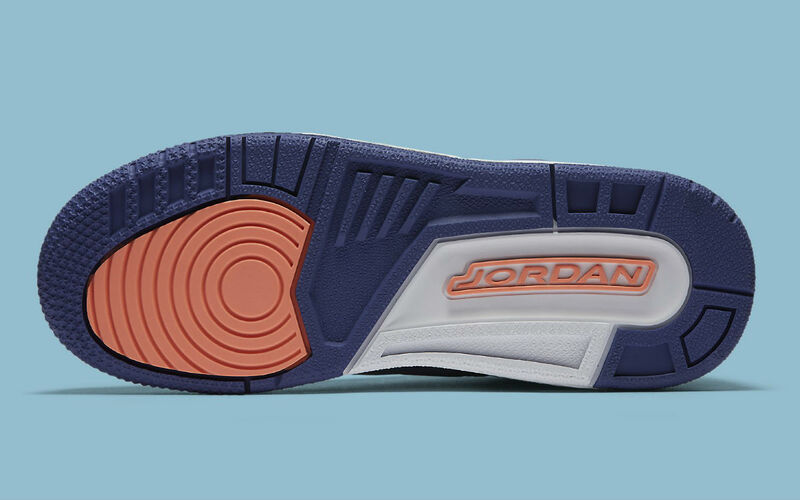 The shoe rides atop a white midsole and purple outsole. 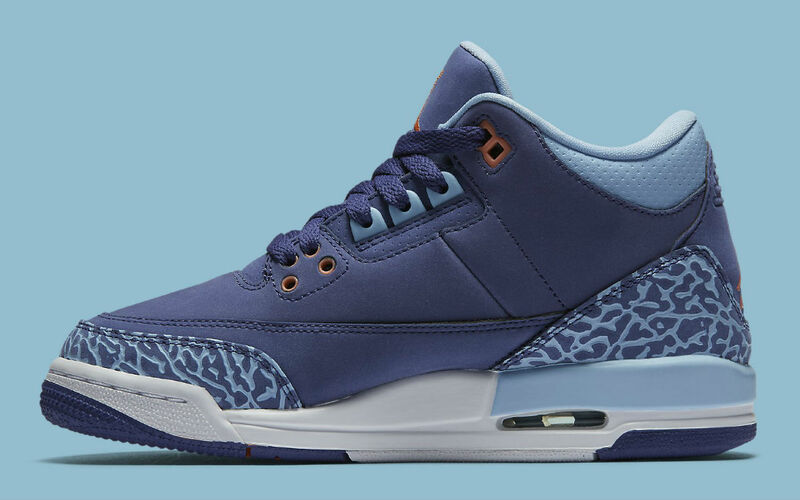 Available in extended gradeschool sizing, the "Dark Purple Dust" Air Jordan 3 Retro will release on Oct. 29. 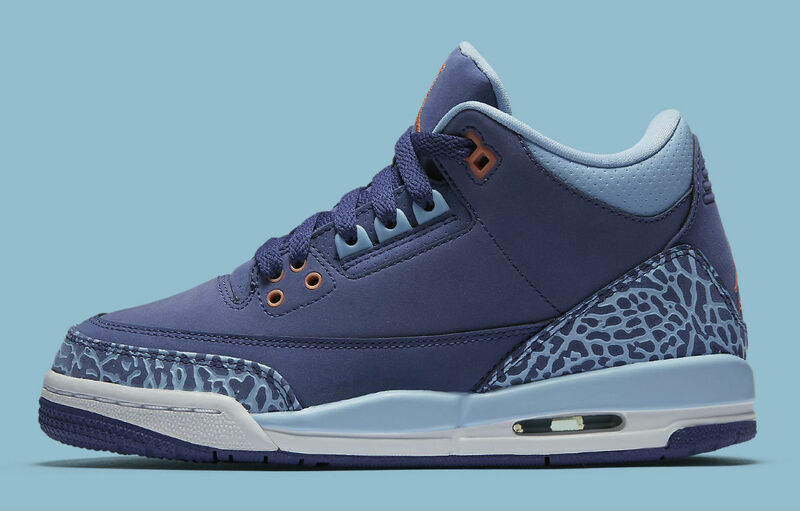 UPDATE 10/22: Official images of the "Dark Purple Dust" Air Jordan 3 Retro via Nike.